By Jorge Flores on January, 4, 2018. Well that was kinda fun, wasn’t it? With James Harden missing his second game thanks to a Grade 2 Hamstring Sprain, the Rockets were already overwhelmingly likely to lose this game. 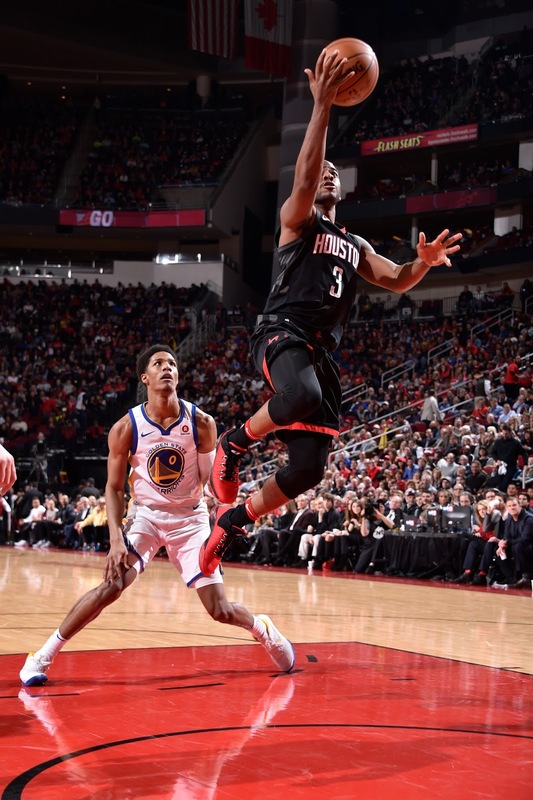 Even with balancing factors like the Warriors playing the second night of a back-to-back on the road and Kevin Durant sitting this one out with a right calf strain, the Rockets, who also played the second game of a back-to-back, had an uphill battle. Despite good games from Chris Paul, Eric Gordon, Clint Capela, and a scorcher from Gerald Green (we’ll get into that), the Rockets just didn’t have enough gas on either side of the floor to keep up with the reigning world champs. As has been the case since the 14-game winning streak came to an end in December, the Rockets’ defense was lackluster at best. The Warriors got a lot of good looks at the rim, and you don’t want to give the likes of Steph Curry and Klay Thompson a few open looks from behind the arc. On the other end of the floor, the Rockets couldn’t buy a three. Including a couple of garbage time makes at the end of the game, the Rockets only made 17/50 (34%) of their three-point attempts. Credit to the Warriors defense for making things tough on Chris Paul in the pick-and-roll, thus limiting the open options on the perimeter, but the Rockets also just straight up missed shots – especially in crucial moments that would’ve put a ton of pressure on the Warriors to catch up. This game was so close thanks to the usual savvy of Chris Paul, the two-way impact of Clint Capela, and Eric Gordon’s aggressive play, but this game belonged to none other than Gerald Green. The Rockets’ latest signing continued to light it up in just his third game with the Rockets. Following a stunning performance in Orlando, Green stayed hot back in Houston, scoring 29 points on 56% shooting. Green’s three-point shooting was the real story, as he hit nailed an astonishing eight triples on Thursday night. In fact, if you take away Green’s shooting alone, the Rockets’ three-point percentage drops from 34% to an abysmal 26%. 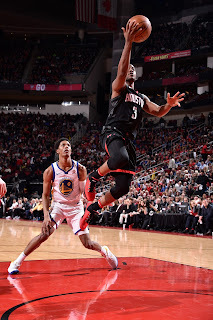 Green is the energy Houston needs off the bench, and it’s fun to think about what he might be able to do once he gets into game shape and builds a rapport with his teammates. In the end, the result was what it was – a loss to one of the greatest teams in the history of professional basketball. Knowing that, the Rockets didn’t back down or allow their dead legs to play a major factor. The Rockets will meet the Warriors again later this month, but it’s good to know that they have the tools to compete with them on any given night – even without James Harden.